Gabrielle was appointed Chief Customer Officer of Opteon in August 2018. She is responsible for championing the interests of Opteon’s customers via the delivery of innovative property solutions and a differentiated customer experience. Gabrielle leads the Data, Digital, Marketing, Products and Sales teams and functions across the Opteon group. Gabrielle is a seasoned transformational leader who brings 15 years’ experience in strategy execution, program & change management, business administration and corporate services within the financial services industry. She has a proven record of driving strategic change and leading complex transformation programs to improve customer and commercial value across the end to end business value chain. Gabrielle is a high energy change agent with a passion for innovation and cultural transformation. 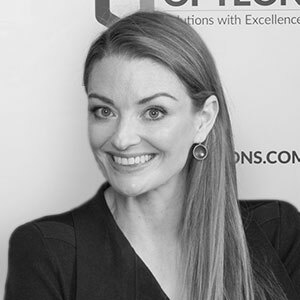 Before joining Opteon, Gabrielle was the Head of Technology, Governance & Reporting at the National Australia Bank. Prior to this, she held several Senior Management positions at ANZ where she developed and led multi-million dollar programs across a range of distribution channels, products, functions and customer segments in Australia, New Zealand and the Asia Pacific. Gabrielle holds a Bachelor of Arts (Psychology) from Victoria University and is a Member of the Australian Institute of Company Directors.